WhatsApp’s really been gradual when it comes to rolling out a complete GIF support to its app. 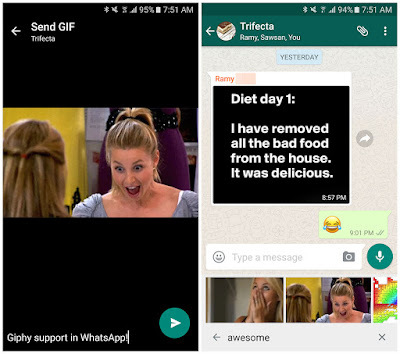 In August last year, WhatsApp rolled out the ability to convert videos and share them as GIFs, then a couple of months later, WhatsApp allowed users to share GIFs saved on their devices, later it finally added the feature to search and insert GIF through GIPHY, but that was rolled out exclusively for iOS. 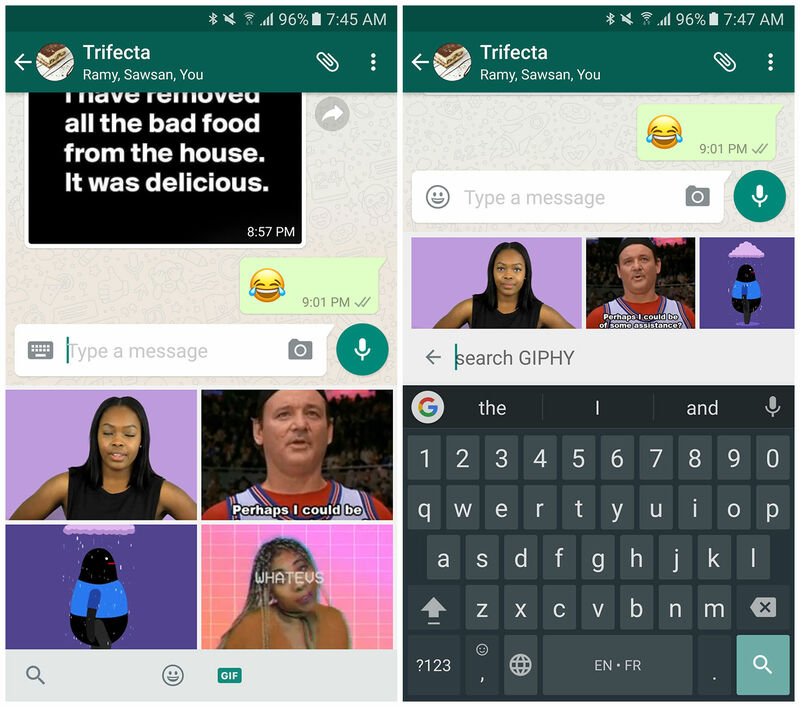 At last, the search and insert GIF feature has been rolled out to Android as well. Which means, you no longer require a third party app like a Giphy, or the GBoard app, or to have the GIFs saved on your phones beforehand to share GIFs now. The function shows up within the keyboard when you tap the emoji button in the text box. With the new update, users will be able to see a new GIF option right next to the emoji button at the bottom bar. You can then scroll through popular GIFs and insert them right away or search GIPHY for a keyword to find the appropriate animation for your current state.